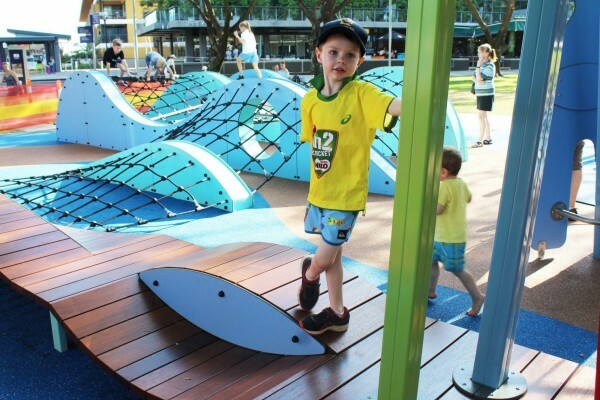 The Darwin Waterfront Corporation put out the calling and the location was set for an ‘innovative concept for a playground that compliments the high amenity and vibrant lifestyle at the precinct’. The criteria were specific whilst being able to provide a space that was functional, engaging and considered a perfect fit. We erected temporary fencing for the duration of the project and site preparation was underway. 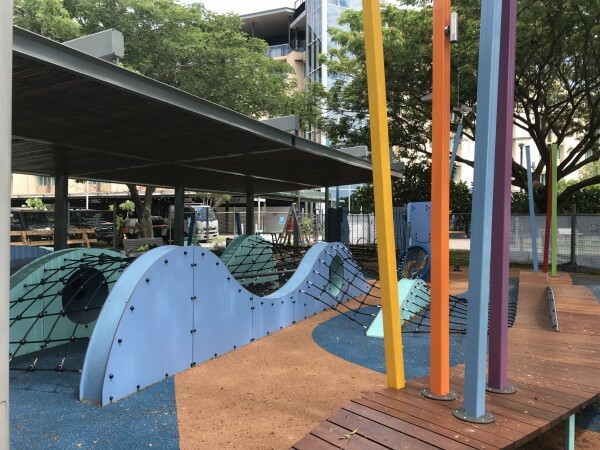 Service detection was carried out, and the site levelled for the installation of Custom Proludic play equipment, sub base drainage Rosehill TPV® rubber, seating, and kerbing. The site location proved challenging with services being detected that required careful navigation around. As well being a high traffic area with the public, logistics of moving machinery and materials in and out of site was carefully planned and executed to ensure everyone’s safety at all times during the project.